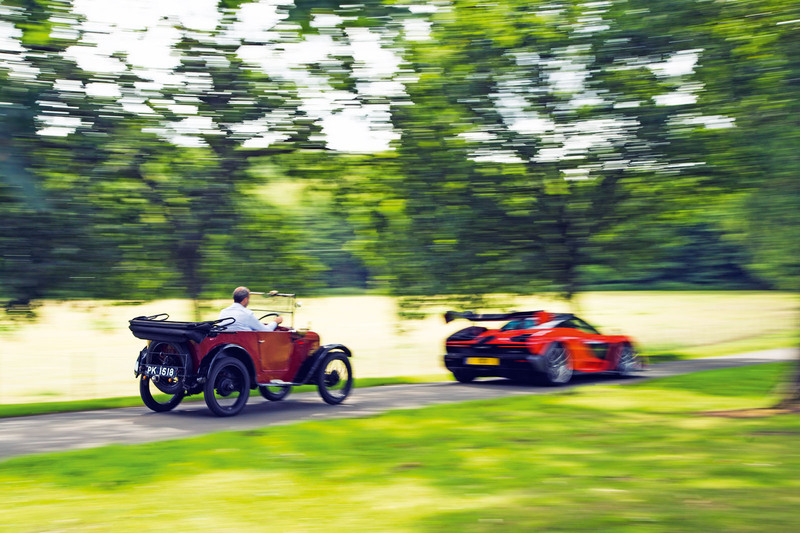 Perhaps the single most remarkable thing about The Autocar (as it was then) conducting and publishing the world’s first road test back in 1928 is that neither we, nor anyone else, didn’t do it a hell of a lot sooner than that. By 1928, the car as we know it was more than 40 years old, for goodness’ sake. The first cars were 19th-century horseless carriages built at colossal expense as amusing playthings for the rich and brave and fitted with solid tyres, tiller steering and total-loss lubrication where oil was essentially poured from tank to ground via the insides of the engine. Yet there was still enough interest in them that in 1895 Henry Sturmey deemed demand to be sufficient for “a journal published in the interests of the mechanically propelled road carriage”. Yet it still took The Autocar 33 years to get around to actually applying sufficient rigour to its assessments to call them ‘road tests’. By that time, the cars had changed out of all proportion. To prove this point, join me in Herefordshire where my cooing over a very charming old Austin Seven is about to be rather rudely interrupted. The Austin in question has a double connection to Autocar. 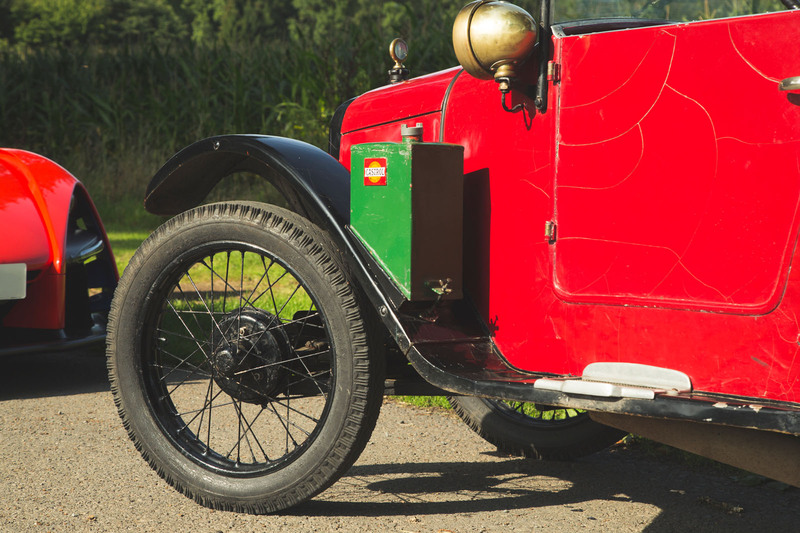 Not only is it a 1928 model, as was our first road test car 90 years ago, but it’s also owned by one John Lilley, who was once our chief sub-editor. This Austin differs from that original test car only insofar as it lacks that car’s Gordon England saloon bodywork, but, to me at least, it is all the better for it. To me a Seven is an open two-door four-seater, headlights mounted at the side, not the front. While the notion of modifying Sevens spawned an entire industry, John’s car is completely standard and thus the perfect window on the motoring world of 90 years ago. Then we hear it, snarling and snapping as it prowls up the road towards us. Even today it looks like something conceived in a dystopian, post-apocalyptic future, and that’s before it parks next to somethingas simple, small and pretty as the Austin. The Senna has arrived. At once I feel foolish. The gap is just too big. It is like comparing a product of the latest computer-aided design to a cave painting, an abacus to the avionics bay of a Dreamliner. But the truth is that the Austin was the car The Autocar was testing then, and the Senna is the car Autocar is testing now. Yes, we could have got a 41⁄2 Litre Bentley, a brand new product in 1928 whose performance was so incredible its top speed was double that of the average car of the era (and a stat even the Senna can’t boast). But we’d still be presenting to you a car on spindly tyres, with drum brakes at every corner and a four-cylinder engine under its bonnet, and it would still only do 92mph. And anyway, we didn’t test one in 1928. Which would you drive first? 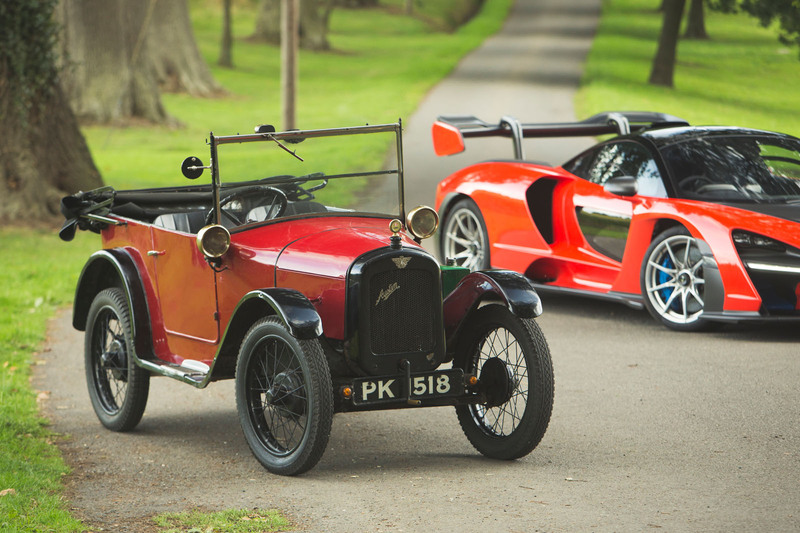 The Austin, to make the Senna feel even quicker than it actually is, or the McLaren, to make the Seven feel even more puny by comparison? For me it’s the Senna for, professionally at least, I am a creature of the modern world and ridiculous though I know it is, I am up to speed with hypercard performance and that wrecking ball acceleration will seem if not normal, then certainly familiar - more familiar, I expect, than what the Austin has to offer. In fact, it feels almost manageable as I find the first stretch of safe, open road and try to put 789bhp to work. Yes, straights don’t really exist and you can’t be on the power for more than a moment or two without numbers highly prejudicial to your licence and liberty appearing on the screen, but even foot flat to the floor, the Senna still seems somehow containable. But then a little thought and an ‘I wonder’ moment. So I press the button that turns the traction control off and try again, whereupon something close to pandemonium breaks out. The car doesn’t actually accelerate any faster but the dashboard is flashing different colours at me, there’s a strange whooshing noise from the back end and I’m suddenly having to work the steering really rather hard, which is odd given that this is a straight road. What has happened is that a pair of the grippiest, stickiest tyres ever bolted to a road car are in the process of self-immolation, and because this road has cambers and a less than pristine surface, the back of the Senna has developed a highly independent mind of its own. On a private facility I found it would do this all way through first, second and quite a bit of third gear. This means the limiting factor of this car on the public road is the grip of its Pirelli Trofeo R tyres, which tend to be the go-to choice for manufacturers wanting to break the Nürburgring lap record. Gerhard Berger once said that a Formula 1 car would only have enough power if it could spin its wheels at any speed, in any gear in any place on the circuit. Well, if you limit that speed window to what a sane and skilled driver might choose to do on a deserted, wide and open public road, you can say as much about the Senna. And really the most incredible thing about it all, to me at least, is the way the electronics contrive to keep you safe without any sense of intrusion at all. At times it just feels like a 500bhp car, at others maybe like a 600bhp car. Just occasionally you might ascribe the work of 700bhp to the sensations you are feeling, but away from the race track it’s a rare occasion indeed when you sense nearly 800bhp working for you. And here’s the thing: drive the Senna as fast as you possibly can on a quick and demanding race track and you’ll soon learn its ludicrous acceleration is actually its least impressive aspect. Thanks to its lightness, suspension geometry, those Pirellis and an aero pack capable of delivering downforce almost equivalent to placing a Lotus Elise on its roof, what it can do in a straight line compares quite poorly with what it can do in the corners. So any talk of reaching the true limit in public – not just giving it a bootful of throttle in a slow corner for a camera – is the purest fantasy or, worse, insanity. 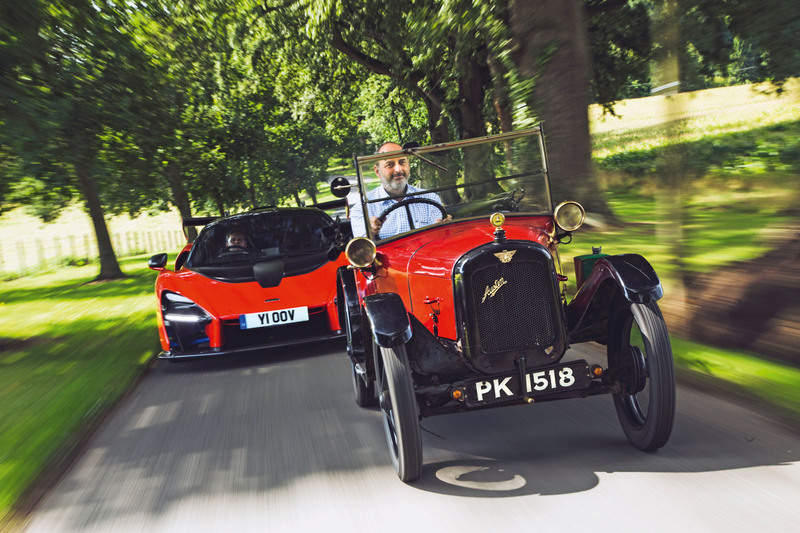 I took John with me, veteran of many a fast car test, but the Senna still temporarily restricts his capacity for speech – which is an impressive thing to do to an Antipodean. So while he composes himself, I wander across to his little Austin. First thing to note: I’m 6ft 3in and while I may look ridiculous, I am entirely comfortable behind its wheel. John has had four people on board, it has the same amount of luggage space as the Senna (none) and yet it weighs less than an Ariel Atom. Really. You could risk breaking a thumb cranking over its 747cc engine by hand but I find it easier to tread on a little floor-mounted button. The engine fires instantly, far faster than a modern car. It has four cylinders and, on a good day, not quite 11bhp, which probably wouldn’t be enough to run the Senna’s air conditioning if, indeed, the McLaren had air conditioning. The interior is laid out like that of a modern car – indeed, it was the first mainstream production car to place its pedals where we’d expect to see them today rather than with a central accelerator, as was the norm at the time. But still, there’s a little learning to be done: the gearbox has three speeds, the gate goes from right to left and there’s no synchromesh so you have to double-declutch in both directions and give the throttle quite a big blip with the edge of your foot between downchanges. But I’ve driven plenty of racing cars with pedals less pleasingly arranged for heel-and-toeing than this. Besides, it’s all easy enough: the only real challenge are the brakes, because the pedal only works the drums at the rear and if you relied on those alone, you could easily be in the next county before they brought you to a halt. If you want to do more than merely trim your speed, you have to pull the handbrake that operates the front drums, and then the Seven will stop perfectly adequately for a car of its limited performance. John reckons its top speed is probably 40mph, which means this car could be outrun by at least one breed of domesticated dog. None of which makes it less than a delight to drive. It has that immediacy, that lack of inertia you find in any car with so little mass when needing to change direction. Its steering is far closer to that of a kart in both feel and directness to anything you’d find on a modern car. And because every gearchange needs to be timed and because you need both hand and foot to slow down, you’re always busy and never bored. For anyone used to even the most modest modern car, it brings a new dimension to the word slow, but the fact that it takes more time to reach 20mph from rest than it takes the Senna to reach 120mph doesn’t matter at all. Its performance feels appropriate to the environment it creates for you, and not once did I find myself wishing it were faster. Then again, we didn’t travel far. Ninety years ago, families would think little of piling into their Sevens (or Chummys, as they were known) and phutting down the road until their journey ended at the seaside or, far more rarely than you might think, at the side of the road with steam coming out of the radiator. For the Austin Seven may not have been a fast car but it was a good one. It was the great enabler, the car that, more than any other, put Britain behind the wheel. 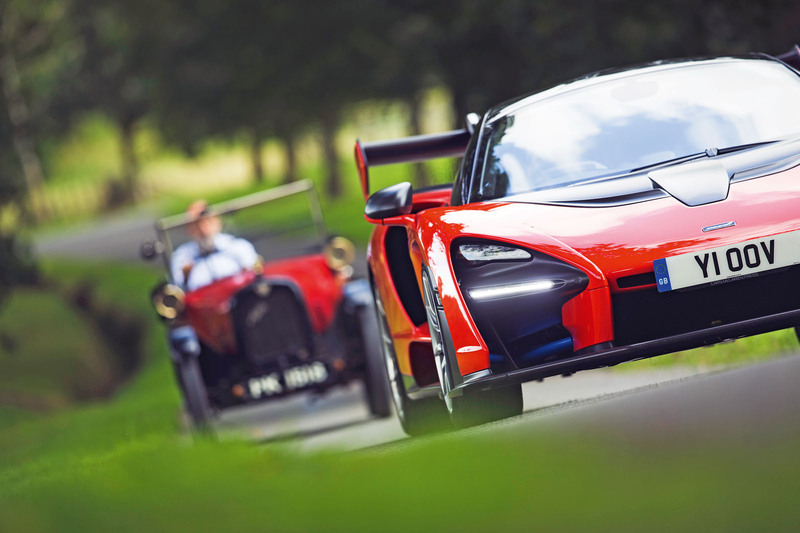 The Senna’s contribution – quite incredibly tobe the third McLaren after the F1 and P1 to expand the ability envelope of road car performance – could hardly be more different. And yet I loved driving them both. More importantly, my thoughts on leaving could not have been more different from those with which I arrived. 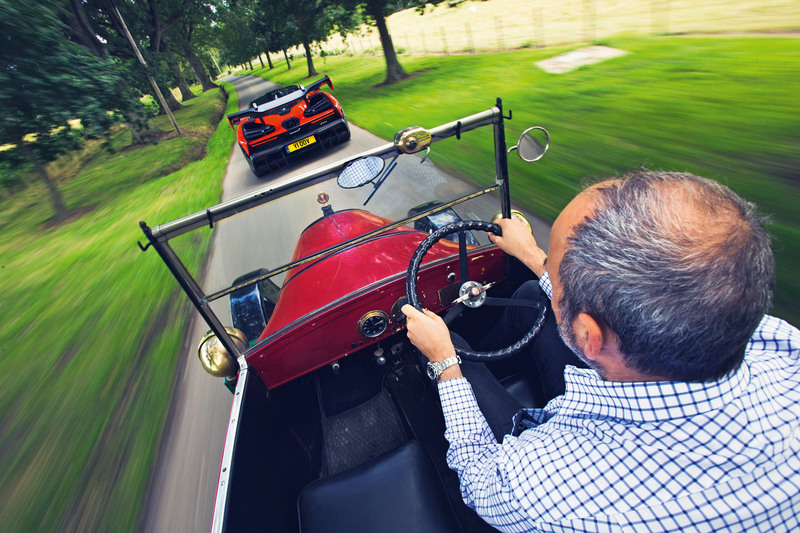 Of course the gulf between these cars is immeasurable: I thought of listing all the things they had in common but when I had to pause after wheels at each corner and one with which to steer, I thought better of it. But that is not to say they share nothing. For the truth is that eventhe Austin will take you anywhere you need to go that doesn’t require getting wet, and by far the greatest limiting factor in the distance either car can travel is not the mechanical frailty of the machine but the concentration and fatigue levels of the person behind the wheel. If there is a weak link in the chain, it is us – and it already was 90 years ago. As our first truly affordable, reliable, mainstream motor car, the Austin Seven was probably the single most liberating invention to come from these shores. It enabled families to work, play and interact with friends, relatives and colleagues in ways never dreamt of before its creation. 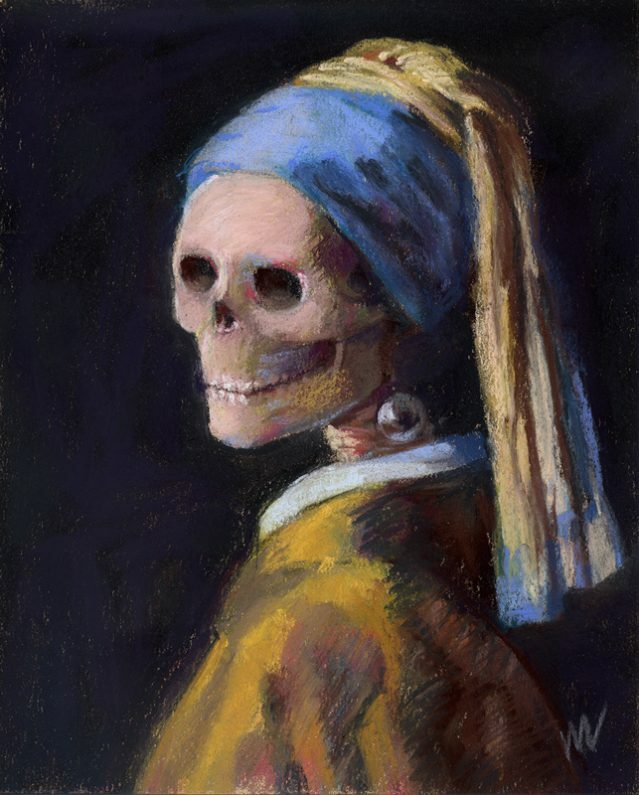 Which is why, separated by 90 years and a technological chasm as they are, what I realised in our time together that day is that, somewhat to my astonishment, what sets these two apart is as nothing compared with what binds them together. You'd have no difficulty carrying a 10' Christmas tree home in the 7, yet that simple task would be impossible in the Senna. Thus, clearly, the 7 is the superior car. It's certainly the more important of the two. I'd rather have the Austin. I'd rather have the Austin. My first car was a 1933 Austin Seven and that was in 1965. Got me to understand spanners and socket sets......you couldn't do that on a Senna ! To my eyes 720s and the Senna lack two of the most critical aspects of what make desirable super/hypercars, because they both look ungainly and have dull engines. The looks of their dashboards (considering how much they cost) are nothing to write home about either! But somehow, those elements never get mentioned in their test articles! Perhaps, the Senna name is a tribute not just a selling tool. I don't recall any ex F1 World Champions called P1, yet that didn't stop them selling. Naming after designers, why not? McLaren Barnard anyone? Coming next week: a red McLaren Senna vs a yellow McLaren Senna so that we can continue to feature this pointless, ugly car on our homepage, even though only 0.7% of the world's population can afford one. Even though once the Austin would have been a daily driver, today neither are. Yet, unless you have your own racetrack on which to enjoy the talents of the McLaren, i suspect its the little Austin that would reward you more. Having driven fast cars (no where near as fast as the Senna though) on the public road, the novelty quickly wears off, Most of the time you are driving at between 1 and 2 tenths, and wondering if you will get away with being wicked and using 5 tenths for 3 or 4 seconds.